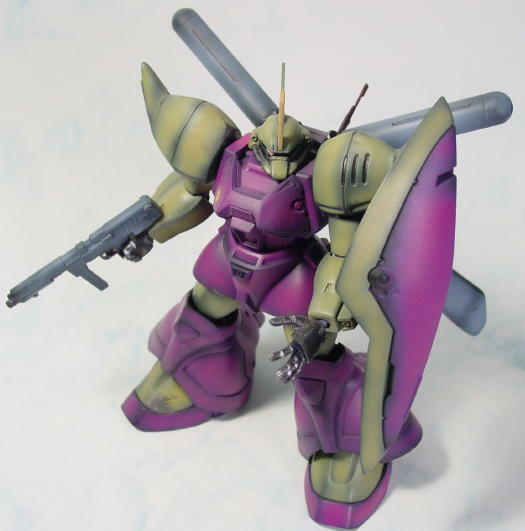 This kit was pretty much modeled straight from the box and painted with the colors from the anime. Sanded, puttied and painted. Before I found the glory of Tamiya putty, I used Squadron putty to finish this kit. Squadron putty was really difficult for me to work(contains plastic eating chemicals) with so now I use Gunze Mr Putty or Tamiya Basic type putty.